Are you annoyed by the fact that Windows continues to play music or videos when you lock the computer? If you have never experienced it try it out by starting to play music or a movie on your system and pressing the Windows-L key afterwards to lock the computer. The sound is still audible. Mobile users encounter another problem; Playing media in the background while the mobile computer is locked will drain the battery faster. The following two programs add functionality to Windows Lock. Mute On Lock is a basic program that mutes the system sound when the operating system is getting locked by the user. 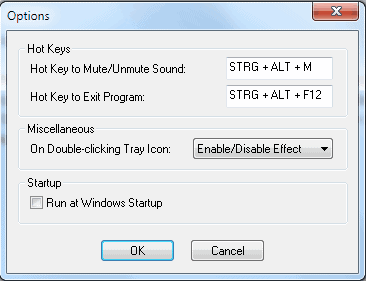 The program reprograms the Windows-L shortcut so that the sound gets muted whenever the lock combination is pressed. It will also enable sound again when the system returns to its normal state. The sound is also turned off if the user locks the computer from a program shortcut or the Windows start menu. Two additional hotkeys are added when the program is running. They can be used to mute or unmute the sound immediately (without locking the computer) and to exit the program. A double-click on the system tray icon can be configured as well to mute or unmute the sound. The program needs to be run in Windows XP compatibility mode on Windows Vista or Windows 7. The mute functionality won't work otherwise. The fastest way to do that is to right-click the executable of the application and to select the properties option from the context menu. 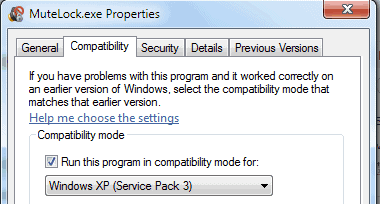 The compatibility tab offers a drop down menu to select to run the program in compatibility mode for another operating system. Mute On Lock can be downloaded from the developer's homepage at Superutils. The software is compatible with 32-bit and 64-bit editions of Windows. It is offered as a setup and portable version. Monitor ES is the second useful program for users who lock their systems regularly. The program is more advanced as it provides additional functionality next to being able to stop the sound of a computer system that is locked by the user. 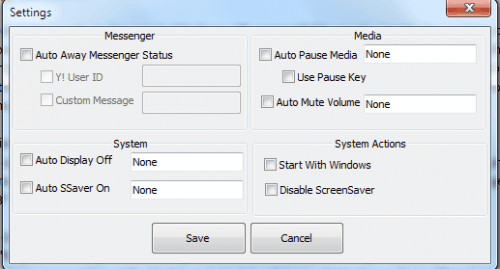 The software can auto pause media, auto mute the volume, change the messenger status automatically, turn the display off and screensaver on. Monitor ES is fully compatible with Windows Vista and Windows 7 so that the compatibility mode is not needed to enable the program's functionality on those two operating systems. Footprints of both programs are nearly identical making Monitor ES the preferred choice for most users as it provides those additional options. Especially the option to turn off the monitor on lock should be very handy for laptop, notebook and other mobile users. Monitor ES is available as a setup and portable version at the project's website over at Google Code.